A profile of the last days of a Czech dance hall in rural Texas—and the old-timers who come there to polka. 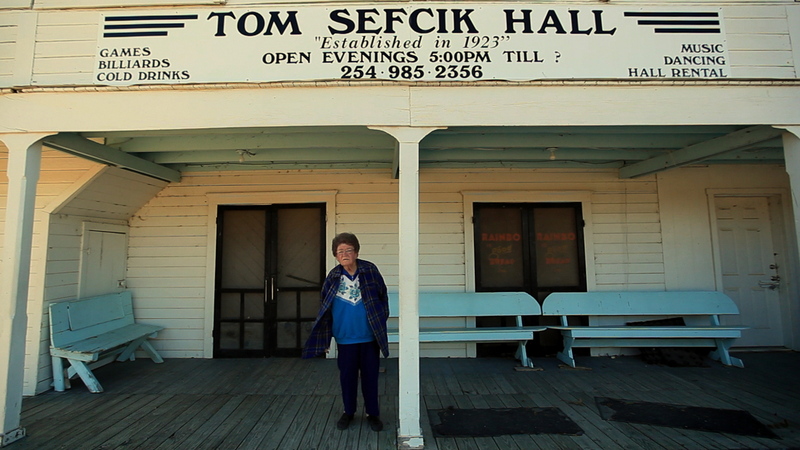 Annie Silverstein’s Night at the Dance not only tells the story of a small population of descendants of Czech immigrants living in rural Texas and how they kept the imported tradition of dance hall polka alive in their hometown Seaton. More importantly, it details how these elderly men and women find a sense of community and belonging through their mutual love for dancing. Director Silverstein immerses herself in the atmosphere among the town’s residents and becomes a curious observer to whom the participants open up about their life situation and what dancing means to them. The culture of dance halls originated when Czech and German immigrants who came to the U.S. in the late 1800s “formed fraternal orders to hold their communities together and provide each other with support. Every group built a hall and they were like the center of life in the New World”, as the director states in her inspiration for the film. This tradition was kept alive until this day, with only a few like the film’s Sefcik Hall left. “I found it all very moving–the elderly folks who still went there each Sunday to wax the floors and dance the polka, the absence of young people and the sense that Sefcik Hall will likely pass away with [owner] Alice.” But although there’s an inherent melancholy to the depiction of Seaton and it’s population, Silverstein manages to find the beauty and bliss within. With a combination of beautiful shots and intimate interviews working in harmony to create an almost dance-routine feel to the production, the filmmaker finds a distinctive style to draw a charming picture of this quite unusual subject. One of the best things about films, or any entertainment form for that matter, is when artists are able to take heavy, profound issues and wrap them up as an enjoyable experience with a light touch and warmth or humor. Annie Silverstein’s Night at the Dance works exactly like that, and it’s perfectly fitting as those portrayed use their passion for dancing in the same way. With the protagonists almost exclusively consisting of retirees who have to deal with loss, illnesses and loneliness, they turn to the communal experience of polka dance and the supportive environment of their dance hall to find a meaning in life and the company of like-minded people. While the topics beneath the surface of Annie Silverstein’s short documentary might be sad and show the sometimes hard realities of old age, it’s depiction is an honest portrait of what it’s like to be human and nothing but life-affirming.